The US Federal Communications Commission or FCC voted on Thursday to Scrap Net neutrality that requires internet service providers to treat all internet traffic equally. This move marked a victory for internet service providers like AT&T, Comcast and Verizon Communications and handed them power over what web content consumers can access. It has also sent Chilling waves across cyberspace and experts say, the move is certain to have ripple effects in other countries. Critics say the move is against the interest of the consumers and favours big corporate companies. Risk looms large on small-time websites and if such websites would choke in the US, they are likely to wilt for users in India too. How repealing of net neutrality affects consumers? Many consumer advocates argue that if net neutrality rules get scrapped, broadband providers will begin selling the internet in bundles. Under this system, for a premium package will be sold for a price. Example, for Twitter, Facebook, Instagram - a social media package, for other utility apps, some other package etc. Consumers could also suffer from pay-to-play deals. A fast lane could be occupied by big internet and media companies, while everyone else would be left on the slow lane. Start-ups and small companies fear they will get a rough deal and would be at a big disadvantage. What are the concerns of small content providers and start-ups on not having net neutrality? Some small business owners were concerned that if new neutrality is not there then industry giants could pay them to get advantage and this would leave them on an unfair playing field. Critics and internet activists argued that allowing access to a few select apps and web services for free would put small content providers and start-ups at a disadvantage. What started the debate around net neutrality in India? Facebook's big advertisement campaign for its Free Basics app that gives users selective access to services like communication, healthcare, education, job listings and farming information -- all without data charges - triggered the debate on net neutrality. For this move, Facebook was criticized for handpicking internet services and for discriminating against companies not in the list, including Facebook's rivals. What is India's position on net neutrality? Last year, Telecom Regulatory Authority of India (TRAI) backed net neutrality and barred operators from allowing differential pricing for data in India. It said that no service provider will offer or charge discriminatory tariffs for data services on the basis of content or enter into any arrangement, agreement or contract with any person that has the effect of discriminatory tariffs for data. 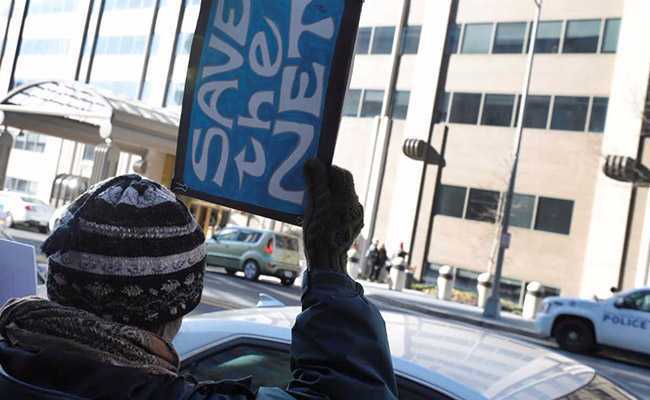 However, it is feared that scrapping of the net neutrality rules in the US sets a dangerous precedent for other countries like India where emboldened regulators could pursue similar routes.